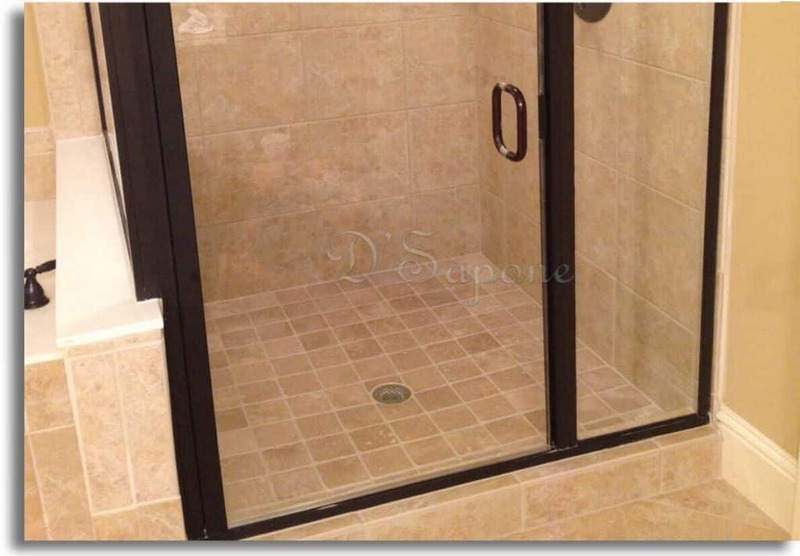 The entrance of your shower – glass doors put a meaningful impact. Stained and etched glass is just a burden, diminishing your shower’s value. The combination of calcium and magnesium present in water creates hard dots on the doors after it dries. Soap scum and etching also take place on the surface. This is the recipe for disaster for your glass. Cleaning with cheap products doesn’t bring that perfect cleanliness to the surface and also causes the same issue again within months. We are experts, delivering that incredible clear resolution to the doors with our patented glass restoration service in Atlanta. We never apply low cost cleaners and sealers from big box stores. We have an exclusive partnership with the world’s best restoration products manufacturing company – pFOkUS. We spray Benaz – the most effective glass cleaner, eliminating all the hard water dots, soap scum and etching. This process is just for delivering a cleanliness to shower doors, which will again look bad once water dries and soap scum takes place. We prevent water’s minerals from creating dots on the surface for a lifetime with our quality glass sealing process. We apply Valore – an exquisitely designed sealer, creating a coating protection on the glass preventing stains, soap scum and etching from taking place. The same product can be used as a maintenance cleaner and sealer, keeping the cleanliness for the glass. We extend our shower glass restoration warranty up to 5 years, if taken care of with Valore. It should be used once a week and that would be enough to keep the beauty of your shower. Valore not just cleans the glass, it also adds a coat of sealer while sanitizing the surface. Not only does Valore maintain the glass, it also comes in use to keep the tile and grout clean. If your surface is stained badly, only we can bring it back to that fresh new look with our astonishing tile cleaning process. We will spray Imperia throughout the entire tile and grout to clean, prep and sanitize them. It eliminates the stains and mold present at the top of the surface and then soaks deep stripping them at the root. Once we perform cleaning, we will color seal all your grout lines using Caponi – a pigmented solvent titanium resin sealer. It penetrates into the grout while coating it to close all the pores and create a waterproofed shower. Present in more than 40 colors, Caponi will easily suit your needs. After we complete glass, tile and grout restorations, you can enjoy the beauty of your shower for a lifetime with the use of Valore.